This book is no longer available for online sales. 100% of the proceeds from book sales benefit future Arrow Factory projects. Since 2008, Arrow Factory has operated as a modestly sized storefront art space located in the center of downtown Beijing. The publication 3 Years: Arrow Factory documents the wide range of site-oriented projects mounted by Chinese and international artists in our out-of-the-way location and asks artists and writers to reflect on new avenues for artistic production in China. 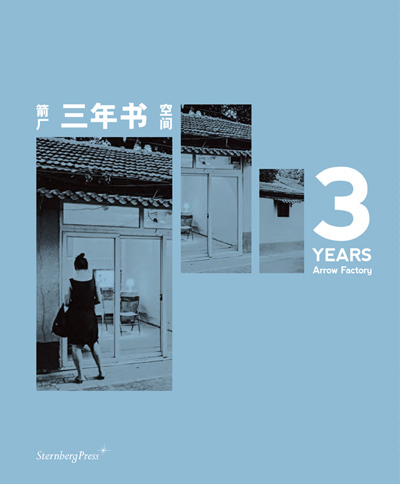 3 Years: Arrow Factory includes contributions by Ou Ning, Beatrice Leanza, Dan S. Wang, Ken Lum, Li Jinghu, Patty Chang; plus Arrow Factory’s neighbors and local residents. Documentation of artworks by: Johann Arens, Cai Qing, Cai Wei, Patty Chang, Fang Lu, Rania Ho, Hong Hao, Kan Xuan, Li Jinghu, Li Ming, Liang Yuanwei, Lin Tianmiao, Lin Yilin, Lim Tzay Chuen, Liu Chuang, Ken Lum, Euan Macdonald, Ni Haifeng, Nie Mu, Dan Perjovschi, Stefan Sulzer, Koki Tanaka, Wang Gongxin, Wang Wei, Wen Peng, Wei Weng, Xijing Men, Yan Lei, and Zhang Peili. 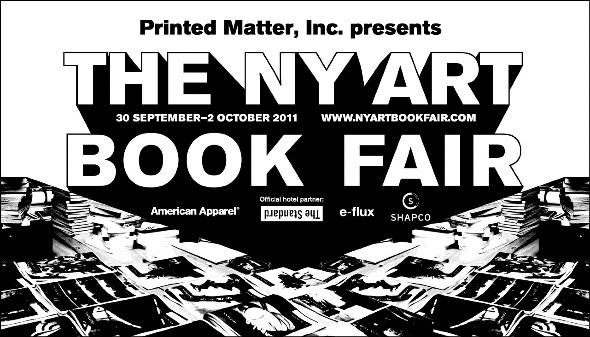 Printed Matter presents the sixth annual NY Art Book Fair. The NY Art Book Fair is the world's premier event for artist's books, contemporary art catalogs and monographs, art periodicals, and artist zines. Exhibitors include international presses, booksellers, antiquarian dealers, artists and independent publishers from twenty-one countries.